learning, speaking, coordination skill by interact with parents. months where they are just beginning to grasp things on purpose, on to teething and motor skills. 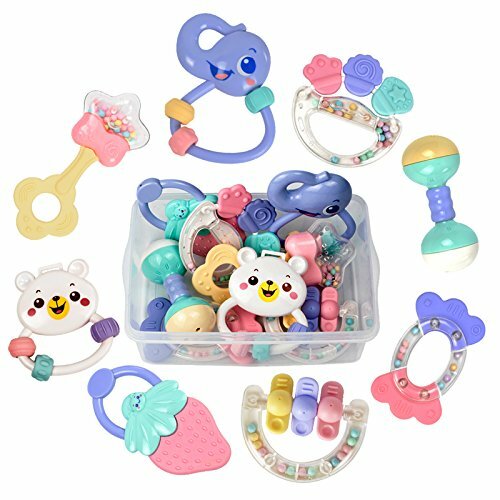 BEST TOYS FOR BABIES: These are awesome baby toys, each rattle was also individually wrapped in plastic. +10 for nice and neat packaging. You can wash all of the rattles and teether toys as the soap and water won't get into the product and easy to dry out.